2. Why was Hadrian’s Wall built? The answer to this question was conveniently supplied in Hadrian’s biography, where it was said the emperor ‘was the first to construct a wall, eighty miles in length, which was to separate the barbarians from the Romans’ (Historia Augusta, Life of Hadrian 11). Scholars have suggested many additional reasons (such as the wish of Hadrian to leave a monumental frontier behind him, the need for a project to keep the army occupied, problems with endemic warfare) but these are speculative and this is the only clear statement surviving. 1. When was Hadrian’s Wall built? The Emperor Hadrian visited Britain, probably in AD 122, and it was under his governor, Aulus Platorius Nepos (AD 122–5/6), that construction began (Figure 1). We know the former fact from Hadrian’s biography (Historia Augusta, Life of Hadrian 11) and the latter from the discovery of a couple of building inscriptions from Milecastle 38 (Hotbank), as well as part of a third from Milecastle 42. We also know that the Wall was constructed and operational by the time it was abandoned in the early AD 140s upon the construction of the Antonine Wall (located further north, on the Forth–Clyde isthmus). Virtually all other dating for the construction of the system within that period of two decades relies upon informed speculation. 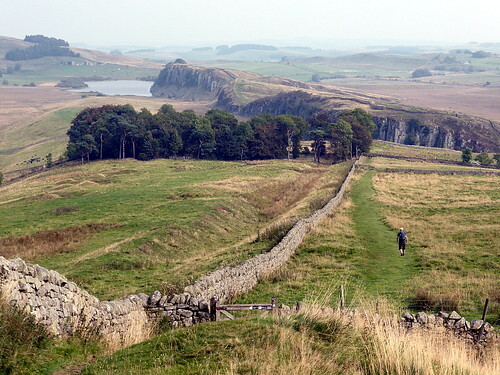 Hadrian’s Wall is one of the best-known monuments in Britain. There are many books on the subject, but I felt there was sufficient reason to produce a short introduction that answered many of the questions I get asked when I lead groups along or lecture on the Wall. It is not a profound academic work (but will point you to some that are) and merely rehearses some of the bigger questions, as well as some of the more obscure ones. Although most are indeed questions I have been asked at some time or other, the remainder intrigued me sufficiently when I first started nosing around ‘that famous wall’. My own connection with Hadrian’s Wall started out reluctantly (it never interested me very much when I first moved up to Newcastle to work on publishing the excavations on the much-more-interesting Roman site at Corbridge). 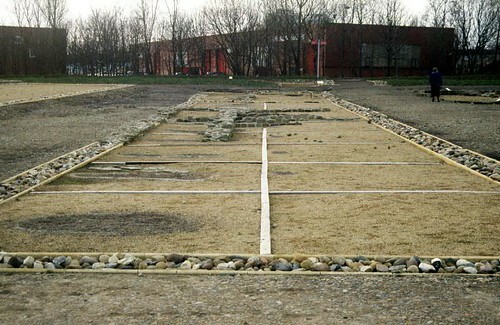 I have excavated on it – in what may well have been the world’s narrowest archaeological trench – in the Roman fort at Rudchester, the origin of my dubious claim to be the only living human being who has touched (scraped knuckles on: it was a very narrow trench) the headquarters building of that fort. I brushed up against the Wall again (figuratively, at least) when I was involved in the original desk-based assessment for the National Trail (which seemed like a daft idea to me at the time). More recently I have led walking tours along the Wall for Andante Travels (thereby disproving my earlier impression), as well as for the occasional academic or learned society. I have walked it, cycled it, driven it, and flown over it (almost always wielding a camera), but I have yet to swim it. Each question, besides a brief piece of text providing an answer, includes suggestions for further reading. I have not attempted any sort of detailed academic referencing system, but leave it to the reader how much they choose to pursue. Most of the references can be obtained fairly easily and, using secondhand bookshops (particularly via Amazon and Abebooks) and libraries, fairly cheaply and some of the most important – such as Symonds and Mason 2009 – are even available as free downloads (and in such cases I have provided links for them). Everybody’s Hadrian’s Wall is different. Mine is a wondrous, complex, utterly human, botched job that shows the pragmatic ingenuity and inspiring promise of bottom-up management, and that just happens to traverse some of the most spectacular scenery in the United Kingdom; what’s not to like? Special thanks are due to Duncan Campbell, Martin Davies, Bill Griffiths, Bill Hubbard, and Lorraine Marlow, all of whom read earlier drafts of this text. 2. Why was it built? 4. What are the ancient sources? 5. Was there anything there before the Wall was built? 6. What did the surrounding landscape look like when the Wall was built? 7. What are the main components of the Wall? 8. How long did it take to build? 9. Where was the stone quarried? 10. Is the ditch continuous? 11. How much earth was dug from the ditch? 12. How long did it take to dig the ditch? 13. Is the curtain wall continuous? 16. What was the curtain wall built from? 17. How was it built? 18. Where did the Wall builders live? 20. Did the Wall change during construction? 21. Did the Wall change after it was built? 22. Was it the first frontier in Britain? 23. Was it always the most northerly frontier of Roman Britain? 24. What is the Turf Wall? 25. Why was the Turf Wall built? 26. Does any of the Turf Wall survive? 27. Were turf walls common in the Roman empire? 28. What is the Broad Wall? 29. What is the Narrow Wall? 30. What is the Intermediate Wall? 31. Where was the eastern terminus? 32. Where was the western terminus? 33. How long was Hadrian’s Wall? 34. What is the Vallum? 35. Where does the Vallum start and finish? 36. Was the Vallum continuous? 37. Were there any forts north of the Wall? 38. What was the Cumbrian Coast system? 39. How much earth was dug from the Vallum? 40. What did the Romans call the Wall? 41. How high was Hadrian’s Wall? 42. How has geology and terrain affected the course of the Wall? 43. Was Hadrian’s Wall inspired by the Great Wall of China? 44. Was it manned by legionnaires? 45. How many forts were there? 46. How big were the forts? 47. Were all the forts built to the same design? 48. How many men were in a fort? 49. How many milecastles were there? 50. 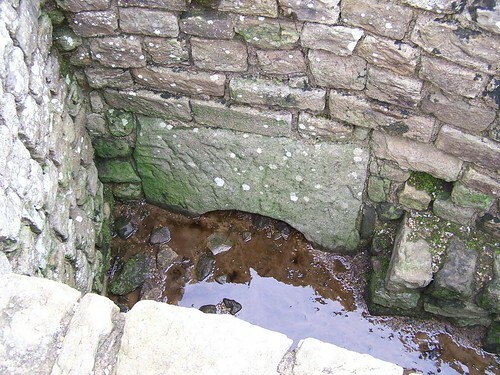 What was in a milecastle? 51. How high were milecastles? 52. Did milecastles have towers? 53. How many men were in a milecastle? 54. How many turrets were there? 55. How high were turrets? 56. Did turrets have roofs? 57. How many men were in a turret? 58. Where did the men for the towers and milecastles come from? 59. Was Hadrian’s Wall crenelated? 60. Did the Wall have a walkway? 61. Was it painted, plastered, or both? 62. How did the Wall cross rivers and streams? 63. How big was the ditch? 64. What is the berm? 65. What is the glacis or counterscarp? 66. Was it possible to pass through the Wall? 67. What is the Military Way? 68. Was there another east to west road? 69. What is the Military Road? 70. When was the Wall abandoned? 71. Did Hadrian’s Wall ever inspire a cunning Elizabethan plan? 72. Has the Military Road destroyed all of the Wall beneath it? 73. How is the course of the Wall visible when it is not still standing? 74. How much is left? 75. How much of it is reconstructed? 76. Where has it all gone? 77. To whom does it belong? 78. Who looks after it? 79. How is it protected? 80. Can I walk on the Wall? 81. Does the National Trail follow all of the Wall? 82. Where can I find out more about the National Trail? 83. Is the Wall ever excavated? 84. Is everything about the Wall now known? 85. What is the best bit to see? 86. Who provided the first detailed accounts of the Wall? 87. When did tourists first start to visit it? 88. How many tourists visit every year? 89. Where can I see things excavated from the Wall? 90. Where can I see reconstructions of the Wall? 91. How did the Romans communicate quickly along the Wall? 92. Is there any truth in the stories about speaking tubes? 93. Can you see the Wall from space? 94. How much did it cost the Romans to build? 95. How much would it cost to build now? 96. How much did it weigh? 97. Who devised the Wall Mile numbering system? 98. Why was the western end of the Wall at Bowness-on-Solway? 99. Why was the eastern end of the Wall at Wallsend? 100. What is the best book to read next? Did Roman cavalrymen smell a bit horsey? The fact that the same Latin word was used for a Roman soldier’s cloak as for a saddle blanket – sagum – gave me pause recently to wonder whether this may have been more than just a coincidence of vocabulary. Did the same garment serve two different purposes? If so, they must have, well, you know, reeked a bit. 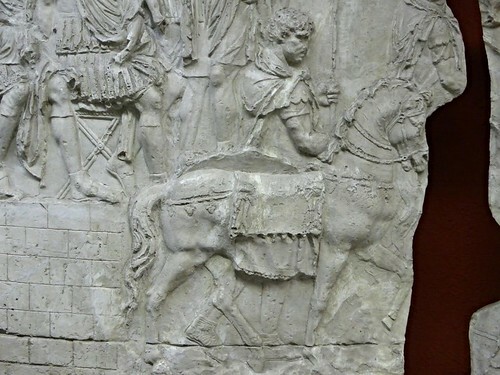 This chap has both cloak and saddle blanket – but can we trust Trajan’s Column?! Anybody with kids who go riding and generally hang around horses (the two usually seem to go together) will be familiar with that horsey smell (just as those who do it evidently are not): not unpleasant, but definitely distinctive. Even if cavalrymen didn’t wear their horse blankets in off-duty moments, we have had to come to terms with the knowledge that they lived right next door to their horses in what are now termed stable barracks: three men on one side of a partition, their mounts on the other. It seems inevitable that, at the very least, the average auxiliary cavalryman will have been inured to that horsey pong. That brings us sweetly, if not exactly fragrantly, to the dimension of ancient life that we so often overlook: smell (or, as we politely call it these days, odour). We frantically deodorise at every available opportunity with cans of this and plug-ins of that wafting chemical freshness at our vulnerable nostrils whenever they are in danger of smelling some of the real odours of life. 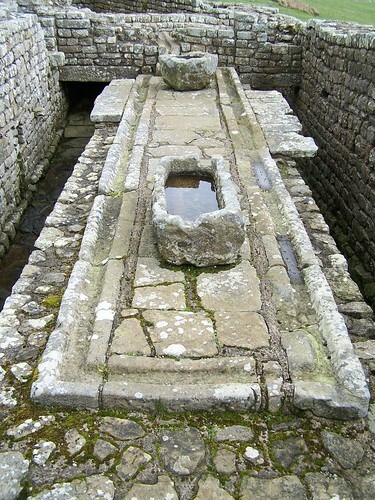 At Housesteads, everybody marvels at the famous latrines in the south-east corner, flushed periodically by the water so carefully garnered from the run-off every time it rained. Fewer pay any heed to the sewer outfall that gave out into the adjacent part of the civil settlement. Presumably they assume it was all carried away underground to some distant location. Not so; analysis of samples from the ditches of Roman forts often finds evidence of the presence of faecal matter, most famously so at Bearsden, where the remains of wholegrain bread that had passed through the human gut were identified, along with intestinal parasites. Yum. In fact, the rank cacodour* that clung to the lower orders (and the army) may be one reason why perfume was so popular in the Roman world: not just to make you smell good, but to hide the pong of all around you. With all of that, can we seriously propose that anybody would even notice if a cavalryman wandered around the civil settlement wearing his horse blanket? Hang on; has someone round here trodden in something … ?